Source: Daufuskie Island Rum Co. The journey began in June of 2013, and what a journey it has been. The concept of a rum distillery on Daufuskie seemed to be a great one. After all, rum is an island drink and it is made on islands all throughout the Caribbean. So, why not on Daufiskie Island? The first obstacle was finding the right place to put the distillery...Set in a private oasis replete with two large live oaks with plenty of Spanish moss and a fantastic pond for the distillery to overlook, we found our future. The day came when the beautiful stills and fermenters arrived! 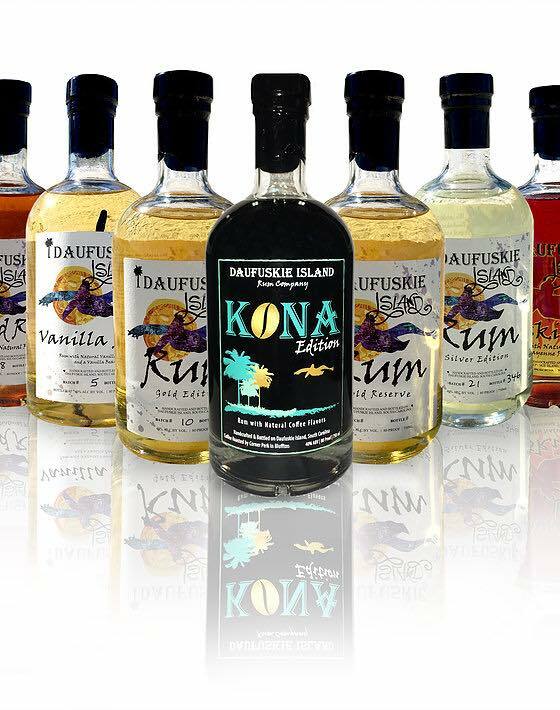 They were created just for the Daufuskie Island Rum Co. and built in Alabama. The stills are beautiful copper belly columns tills and the fermenters are made of Cyprus that was grown in Louisiana. We fill each fermenter with 600 pounds of Demerara sugar, 5 pounds of yeast and hot water from our well. This begins the undertaking of turning premium raw ingredients into handcrafted rum. Careful attention is given to each step of the process. Our 100% American made Rum is distilled, bottled and packed by hand here on Daufuskie Island. The sun, sea and rich history all blend together to make this island the perfect place for the Daufuskie Island Rum Co. and an unforgettable Lowcountry treasure.